The British Fashion Council has announced that applications are now open for the BFC/Vogue Designer Fashion Fund 2019. Established in 2008, The Fund aims to discover new talent and accelerate growth over a twelve-month period through mentoring and awarding a cash prize of £200,000. 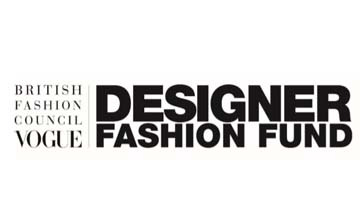 The BFC/Vogue Designer Fashion Fund receives the support of British Vogue, Burberry, JD.com, Label/Mix, Paul Smith, Rodial and TOPSHOP. Applications are strongly encouraged from all over the UK; the application process encourages brands to think strategically about the fund’s core objective of business growth. All shortlisted designers will receive a full mentoring programme through the BFC’s business support team, with access to funders and industry experts. For the 11th year, the fund will award one winner and help bring new knowledge to designer businesses and the finance to put towards a full time or consultant team member but also to advise on areas such as accountancy, merchandising, business strategy, international growth, retail and e-commerce. Full details on eligibility for the fund can be found HERE. Applications for the fund will close on 7 February.